information on swing etiquette, fashion, and the atlanta swing scene. an online magazine dedicated to the revival of swing and big band music and dancing, including the latest swing news, reviews, an online chat lounge, and a comprehensive links directory to everything swing on the internet. a weekly radio program from bethany college featuring 1940s swing, 1950s lounge, and 1960s space-age pop. a mod, jazz, and lounge music experience, also with lounge culture information and drink recipes. surf, swing, classic crooners and garage tunes. Source for swing event websites, swing news, dancer rankings, feature stories, swing video clips, online chat, competition photos, merchandise, and information. vegas-style tribute to the misfits, covering all of their early tunes in various styles including swing, ska, reggae, jazz, blues and lounge. features show dates and sound files. Jazz/lounge/rockabilly/swing/classic rock/Motown/disco/funk/pop band based in Fairfax, California. Includes audio samples, setlist and schedule. a music lifestyle stream on the internet, featuring a blend of jazz, lounge, latin, exotica, electronica, soundtracks, standards, surf and swing music. a retro-themed martini lounge in san antonio, with live music. a source of information about lounge culture and easy listening music. collection of lounge music to buy or listen to via shockwave audio. the dna lounge webcasts shows and events live from their venue in san francisco, ca. located in san francisco, the dna lounge offers a nightclub environment which plays hip-hop, trance, and 80s music. retro-themed martini lounge. information on bands and drink specials. home for hepcats. site offers a history of lounge music and related links. upscale lounge in the heart of downtown atlanta provides good music, food and a relaxing cosmopolitan atmosphere. jazz, swing, latin and lounge are the strongest influences on this singer/songwriter. find out about upcoming shows, her debut cd, booking information, news, reviews, information on her band, song samples, lyrics, photos. a local directory of bars, lounges, and late night restaurants. includes listings, featured lounge, event calendar, and contact information. birmingham. directory of bars, lounges, and late night restaurants. includes listings, featured lounge, event calendar, and contact information. two swing bands recreating the sounds of the swing era. includes audio and video clips, biographies, cds, booking information, show dates and a song list. a source of information about lounge and easy listening music. includes news and information about new releases and classic recordings. a suave, swanky, virtual cocktail lounge for groovin to jazz, pop, exotica and rock music. a calendar of swing and lindy hop events in and around los angeles. also features reviews of swing music and information on retro hairstyles. A dance club devoted to the learning, promotion, and enjoyment of swing dancing that focuses mostly on west coast swing in Albuquerque, New Mexico. If the business hours of the swing lounge in may vary on holidays like Valentine’s Day, Washington’s Birthday, St. Patrick’s Day, Easter, Easter eve and Mother’s day. We display standard opening hours and price ranges in our profile site. We recommend to check out angelfire.com/ga/evanato/ for further information. 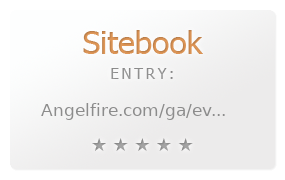 You can also search for Alternatives for angelfire.com/ga/evanato/ on our Review Site Sitebook.org All trademarks are the property of their respective owners. If we should delete this entry, please send us a short E-Mail.